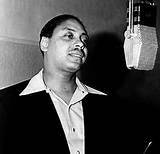 as Boss of the Blues, Big Joe Turner died in 1985. Is this 1940s track rock & roll release number 3? Did Sister Rosetta Tharpe cut rock & roll release number 4? Was ‘Boogie Woogie Stomp’ the world’s first rock & roll record in 1936?